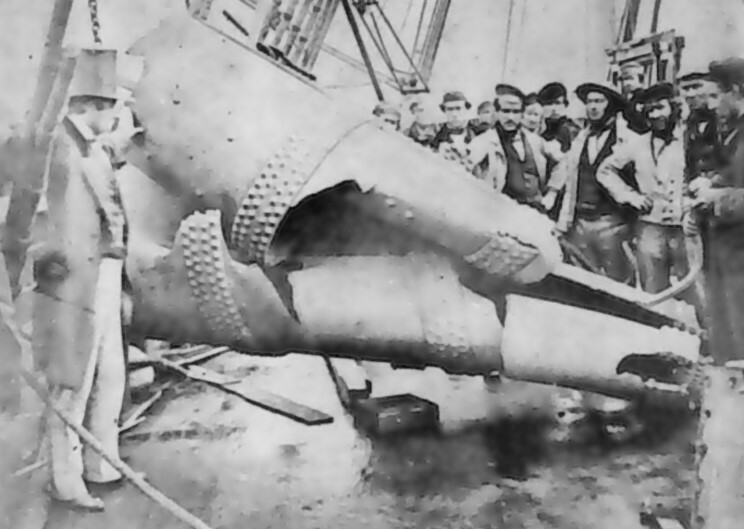 September 9, 1859: The forward funnel after the explosion off Hastings. 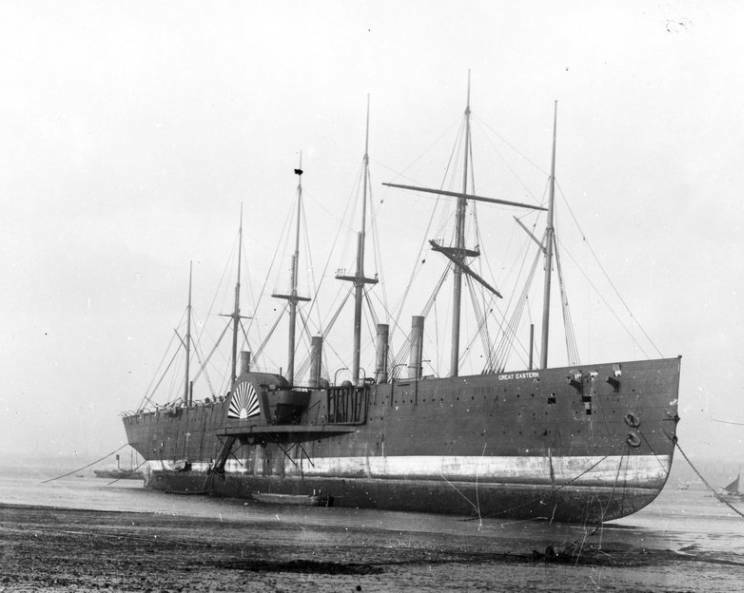 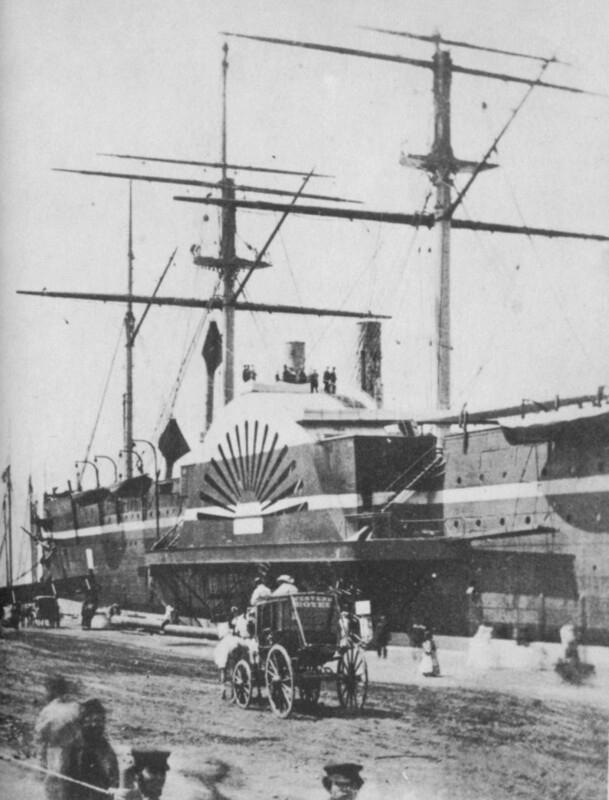 Summer 1860: The Great Eastern at New York during her first visit. 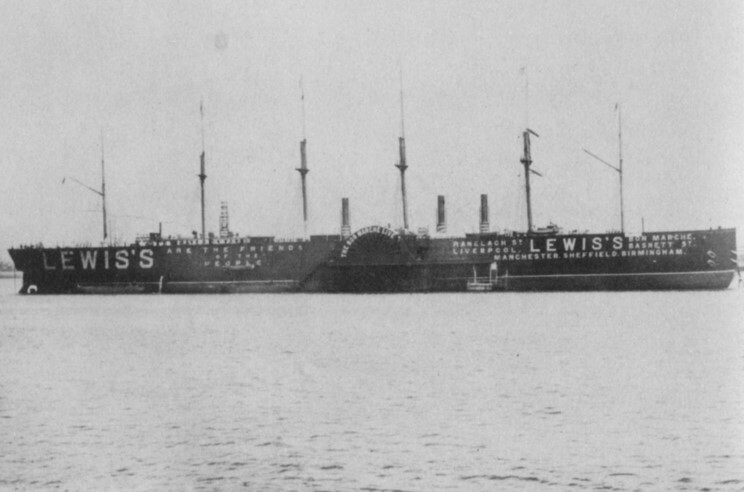 Great Eastern probably seen at Milford Haven, Wales. 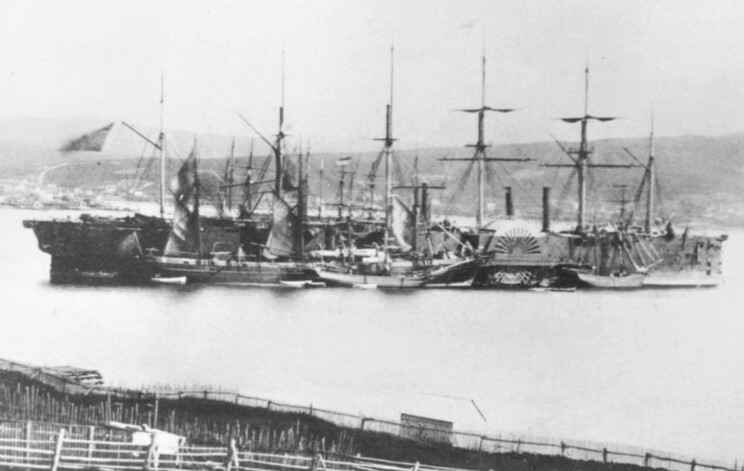 July 1866: The Great Eastern at Newfoundland after laying the first Atlantic cable. 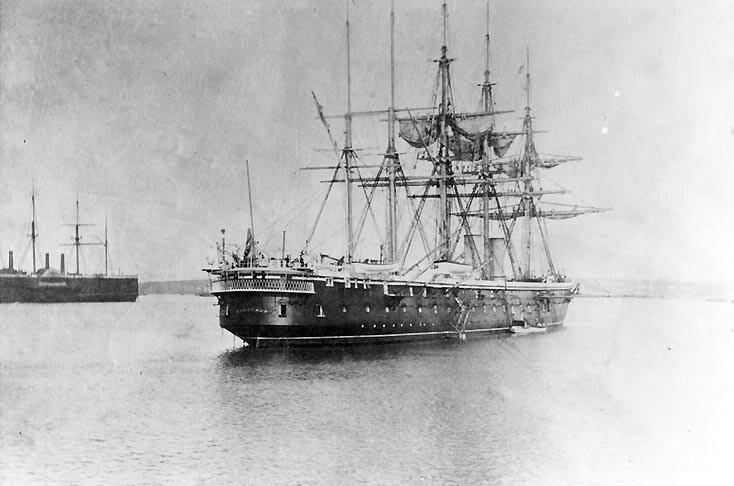 1887: HMS Minotaur with the Great Eastern visible on the left.